On January 7, 2019, the U.S. Supreme Court declined certiorari in a patent dispute between Amgen Inc. and Sanofi, Aventisub LLC. The case involved legal standards for patenting antibodies, and more particularly a statutory requirement that patent applications include a “written description” of the invention. This case mostly affects the biopharmaceutical industry, including Maryland-based biotech companies. Antibodies are complex organic molecules produced by the immune system. They target and bind to other molecules in the body, known as antigens, to prevent the antigens from causing harm. Sometimes the body does not produce antibodies ideal for binding to certain antigens. Biotech companies spend significant resources developing non-natural antibodies in the laboratory that will bind to such antigens more successfully. The companies often then patent their new antibodies along with therapeutic applications of them. Over a decade ago, the U.S. Patent and Trademark Office (“PTO”) issued guidance suggesting that a patent for a new antibody could fulfill the requirement to provide a “written description” of the invention by disclosing the first sufficient structural description of the antigen it binds to. This guidance applied where it was routine or conventional to make an antibody once its target antigen structure became known. Some federal courts later adopted this so-called “newly characterized antigen” test in patent litigations. Amgen and Sanofi independently developed competing antibodies having different structures but both binding to a common antigen to reduce bad cholesterol. Amgen obtained a patent to a broad scope of antibodies defined by their functional ability to bind to portions of that antigen. 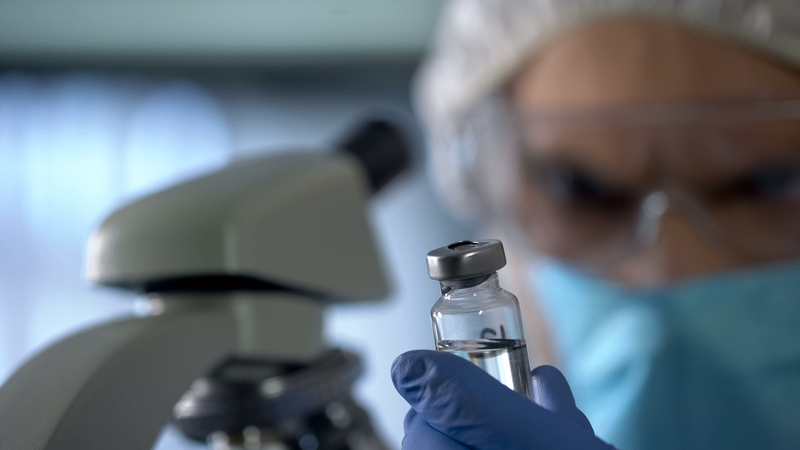 Amgen sued Sanofi for patent infringement, but Sanofi challenged the patent’s validity for allegedly not disclosing a sufficient number of particular antibodies to justify its broad scope. Amgen disagreed, also arguing it could rely on the “newly characterized antigen” test because it disclosed the relevant parts of the antigen structure. The Court of Appeals for the Federal Circuit sided with Sanofi. The court said the patent must either include enough example antibodies that are sufficiently representative of the broad invention, or disclose structural features that all the antibodies have in common. The judges discarded the “newly characterized antigen” test, saying the written description requirement should focus on the antibodies, not the antigen. A new trial in the case began on February 19, this time applying the appropriate legal standard. The decision also prompted the PTO to withdraw its previous guidance document. The Amgen v. Sanofi case has several implications for antibody patenting. Many patents that relied on the “newly characterized antigen” test already issued before this decision. The case casts doubt on the validity of at least some of these, potentially reducing their value. The decision arguably makes it more difficult to obtain broad antibody patents. A patent application typically includes structures of antibodies the applicant has made, but not all or even most other possible alternatives that function similarly against a common antigen. The applicant may now need to either narrow the scope of its inventions to more closely resemble the particular antibodies it creates, or invest more effort to disclose a sufficient number of alternatives to justify a broader scope. Many patent applications going forward will likely include more diverse examples of antibodies and explanations of how the antibody structures contribute to their function. The examples could include antibodies actually made in the lab as well as others simply described in the text, tables, or figures of the application. Structural details of the antibodies could include, for example, amino acid sequences of one or more parts of the molecules, including permissible variations, and extent of variations, in those sequences. Certain parts of the antibodies may affect their function more than others, perhaps justifying more detail on those parts having greater significance. Lastly, doing away with the “newly characterized antigen” test may reduce the commercial attractiveness of early antibody research. A significant portion of research focuses on finding the antigen(s) responsible for causing a health condition. Companies that invest in making those discoveries arguably had a greater chance of obtaining a broader antibody patent under the previous legal test compared to today. Competitors can now simply wait for others to invest in the antigen discovery, saving themselves the expense, then design-around the likely narrower antibody patents that issue in the future. The discussion here applies to patenting antibodies in the U.S. Patent offices of other countries often have different legal standards. For example, an invention like that in Amgen v. Sanofi could receive more favorable treatment in the European Patent Office compared to the U.S. As a possible best practice, the patent applicant could describe the invention in a large variety of ways in the application but then request patent protection only for a subset of subject matter it believes appropriate on a country-by-country basis. Steven J. Scott is an attorney at Sonapat LLC in Rockville, Maryland.